Being a huge fan of Batman and The Terminator i regularly scour the web looking for news on two of my favorite franchises. 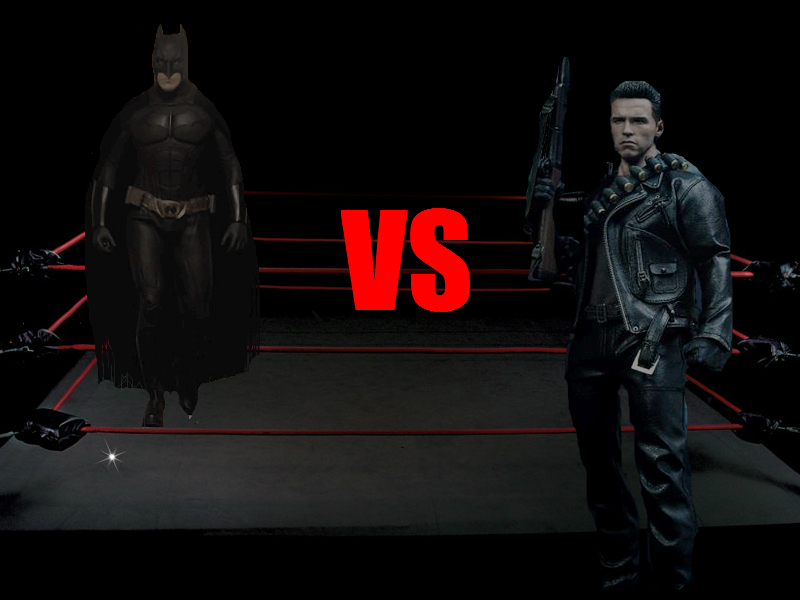 Well today i came across something very cool indeed, a Trailer for an animated short film Batman Vs The Terminator by Mitchell Hammond which will be out later this year. You can watch the video below, it looks pretty cool if you ask me. It looks like the short film accurately captures the post apocalyptic brilliance we saw snippets of in the first two terminator movies and throwing batman into the midst of judgment day is a really great concept, im looking forward to seeing how this plays out when the full thing is released. The score by noir deco also sounds fantastic, capturing the pulsating beat and emotions that made Brad Fiedel's two terminator scores iconic. With an 80s anime feel, a pulsating soundtrack and two iconic characters be sure to check back for news on this one as we learn more. Ryan Gosling could be the new Batman?